In this tutorial you are going to learn how to use Steam offline mode which can be useful if you don’t want to be connected to the internet while using single player game features. The Steam program will close and start again automatically – the program is now in offline mode. 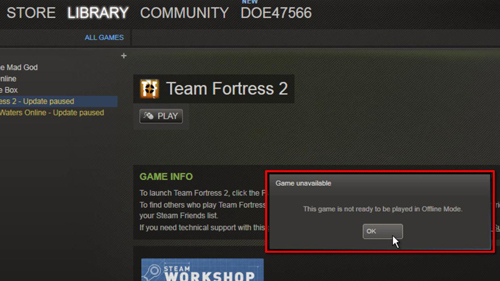 To test this out we will click on the “Play” option for an online game, we are told that the game cannot be played in Steam offline mode. 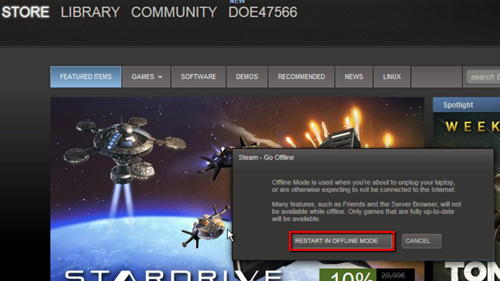 To turn offline mode off so you can play games online you need to click the “Steam” option again then “Go Online”. 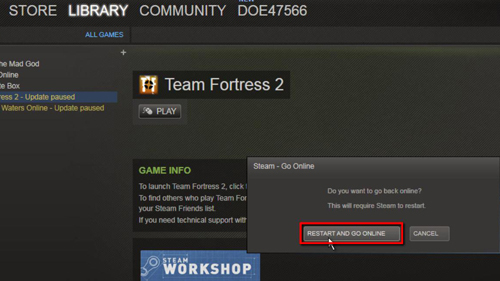 A similar dialog box to before will open and you simply need to click “Restart and go online”, the program will restart and you will be reconnected to the Steam online service.